I’ve never done that before–missed a goal, or deadline. Now, this doesn’t mean I’m new to failure. Over the course of my career, out of everything I’ve written, conceived of and attempted, just a small fraction of them have seen any kind of success. But 2013 was so ridiculously successful, I kind of forgot. Well, thanks 2014, for putting me back in my place and reminding me that I’m not impervious, and that I don’t do this for money (though I do appreciate getting paid). I do this because I love it, even when things fall apart, and because I enjoy sharing my work with readers who appreciate it, which hopefully is you! Which brings us to the purpose of this newsletter. Last year, we released THE LAST HUNTER – Collected Edition, which included an original short story taking place in the world of Antarktos. For the past year, the only way to get that story was to purchase the Collected Edition. MANY people have, but thousands upon thousands of people who purchased the five books in the series before it was collected haven’t got to read it. Well, now you can! THE CHILDREN OF ANTARKTOS is now FREE to read. Simply click on the link below the cover image to download a ZIP file containing an epub, mobi and PDF of the story. 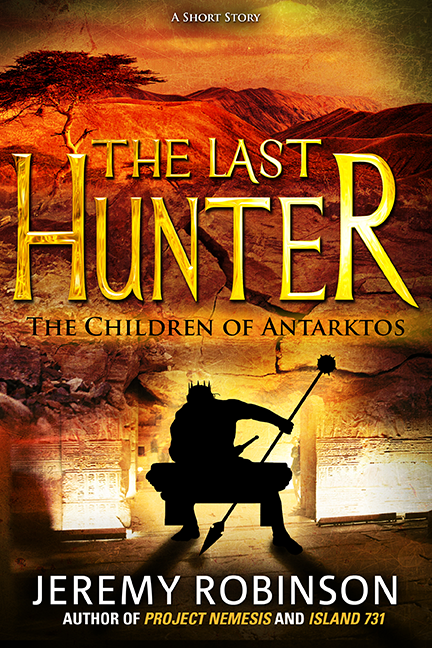 CLICK HERE to download THE CHILDREN OF ANTARKTOS! Oh! You know what? CANNIBAL, the next Jack Sigler thriller, just now became available for pre-order on Amazon. So, here’s a link! Thanks for a great year (despite my failed projects). You readers never cease to amaze me with your excitement and support. I appreciate and rely on it! Hi Jeremy-did you ever consider the Chess team doing time travel to rescue people trapped just before a big disaster such as a big tsunami or earthquake etc? The chess team would know of the disaster but who knows how they would handle it? I had suggested the chess team in space a while ago. Love everything you have written … can’t wait for Cannibal and all the others!!!! Just finished The Last Hunter – Collected Edition. Loved it, could not put the book down, and managed to finish the entire saga over 2 days. Thrilling, fast paced roller coaster ride from beginning to end. I especially like the biblical and / or historical details expertly weaved into the story. The underground has always held some fascination after I read books by Jeff Long years ago. None have really explored that topic in novels since then, till The Last Hunter. I sincerely hope to be able to see a movie made out of the saga in time. In the meantime, I would love to see a continuation of the saga, perhaps with further exploration into the “fathers of the Nephilim”, who have been touched upon, but did not make a physical appearance in the saga.